Hey, dear reader! I hope you are feeling great today. But if you are stressed these five stress management books can help you to release tension and anxiety. Do I hear you asking, what are the best stress management books? Where can you find them? So I hope that these five books will give you the answers you need and be helpful in managing everyday stress. 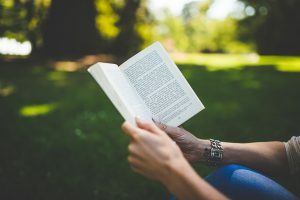 You can also check my article Best Stress Relief Books, where you can find another five books that can help you to slay your stress-monster. Description: This book gives inspiring and effective tips to help you gain control of your workloads and personal life. How It Reduces Stress: This book helps you manage time, and in that way, you can better deal with stress in your life. Description: This book is a guide to finding happiness through the latest neuroscience and contemplative techniques. Sadly, the brain learns quickly from bad experiences, but slowly from good ones. This book helps you change that. How it Reduces Stress: I think we all know that life isn’t easy and sometimes we ignore the good things in our life and focus more on the bad ones. Sadly, but it’s true. This kind of thinking makes us worried, anxious and stressed. This book can help you see the good things in life and build your inner strengths. It will show you what you can do to override the brain’s default pessimism and in that way to relieve stress in your life. If you want to relieve stress, it is important how do you think and feel about everything in your life. This book can help you with that. You can slowly transform your brain into a power center of happiness and calm. One person complained that he had difficulty understanding some concepts. Description: This book introduces you a powerful method for gaining freedom from self-defeating beliefs and behaviors. It is updated versions of the 1983 classic. Here you can find fresh interactive activities, real-life vignettes that you can identify with. You will learn six keys to maintaining emotional balance, the extraordinary power of simply noticing options and more. How it Reduces Stress: When somebody is stressed, they aren’t free from negative thoughts. Right? Do you know that stress is the result of how you are interpreting the events in life? This book can show you that if you ignore the part of your brain that is interpreting things, you eliminate the source of your stress. Description: This comprehensive stress management book is written in simple language and teaches how to use some simple strategies to reduce stress, enjoy life’s experiences and more. How it Reduces Stress: This book shows how the brain-body connection can be used to relieve and reduce stress. Here you can find the detailed various ways to improve your life by changing your mental state and letting go of stress. This book can offer you shedding light and insights into your fears. People are affected by their mental states and fear is weighing them down and they experience stress and anxiety. This book shows ways how to manage stress in a positive and healthy way. How It Reduces Stress: You know that stress affects your life, relationships, and health so this book can help you gain balance in your life. It will help you identify the causes of your stress and show practical ways how to deal with them. Reading alone is a great way to relieve stress, and you only need six minutes to accomplish it. But these best stress management books can offer you another way to manage stress in your life. 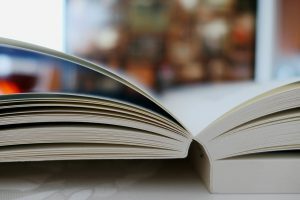 What do you think of this article and these best stress management books? Let me know below! I would be pleased to receive your comments, questions, and suggestions, and they will help me write new articles that will help you. I really like to hear from you, so please leave me a comment below to let me know if this article helped you in some way. If you enjoyed this post, please let other people know by sharing it on social media. Learn how to manage your stress and be yourself, CLICK HERE for more information. Until next time, dear reader! Have a great day! ← Can Stress Cause Nightmares? – Is There Something You Can Do?